Agriculture is the first user of fresh water. Since the end of the 20th century, its use in the world has considerably increased. Significant agronomic progress, especially regarding the use of expensive inputs (fertilizers, pesticides, fuels, machinery, etc. ), has made it necessary to secure yields in order to make these investments profitable and reduce the variability of yields. The use of irrigation has led to an increase in agriculture needs, exacerbated by the recurrent droughts of the end of the 20th century. At the same time, the progression of knowledge shows that the proper functioning of aquatic ecosystems provides services that are useful to society as a whole and that must be maintained or restored. We talk about ecological flow to be maintained in the environments. Moreover, other uses: drink and hygiene, industries and services are progressing everywhere. Thus, agriculture is in competition with other uses, including in regions that have not yet experienced restrictions in water abstractions. However, rainwater accounts for more than 70% of the water used in agricultural production. This so-called rainfed agriculture provides 60% of the food and uses 80% of the agricultural surface. It is particularly vulnerable to climate change, but irrigation systems should not be considered to be unrestricted and that technical and agronomic progress will be sufficient to ensure global production. Practices must continue to evolve in order to preserve aquatic environments even more. This is why, in river basins, both in France and abroad, the establishment of participatory planning mechanisms in the medium term and procedures for allocating (or reallocating) water volumes that can be abstracted is more and more needed as well as the strengthening of local institutions to ensure the continuity of the decision until its implementation in the field. 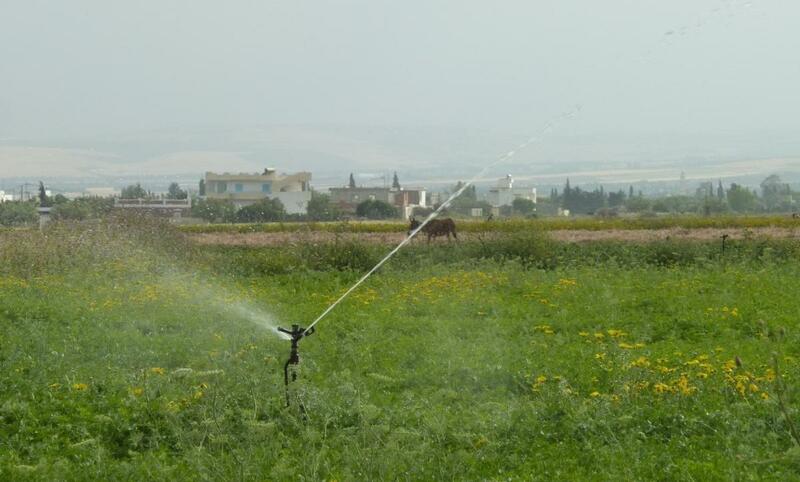 In farms and on the plots, the choice of varieties more resilient to drought, the search for better irrigation efficiency, the choice of equipment, efficient and adapted to the local constraints, are to be sought. In Europe, the development of natural water retention measures, including for urban agriculture, contributes to genuine integrated water resources management. 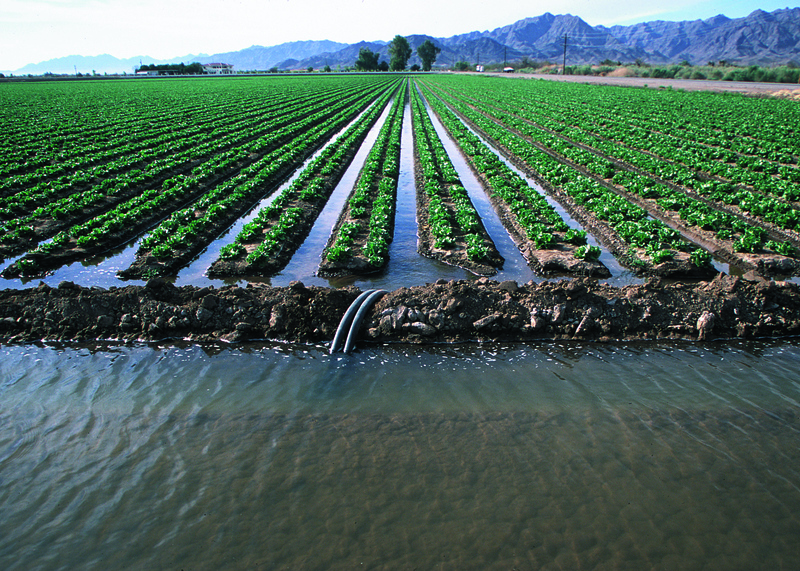 The agricultural use of water resources and its impacts on aquatic environments far exceeds the agricultural sphere. This is why it is essential to involve agricultural representatives and representatives of other users in local management bodies. The representatives of irrigators are thus participating alongside the other people abstracting and using the resource, but also the nature conservation associations, administrations and of course elected representatives. For centuries, France has acquired experience in joint water management in agriculture, which is in great demand. This decentralized system adapted to the regional context combines private management and public governance. It facilitates appropriation, maintenance and management of structures and facilities necessary for increasing agricultural production while respecting the principles of sustainable and integrated water resources management. Finally, research must be associated with the various support and advisory mechanisms for farmers to produce the necessary references and the definition of appropriate policies. Building on the French experience in the field of agricultural water, the International Office for Water offers its support to the National Water Authorities but also to the stakeholders of organized land to carry out the institutional and legislative reforms that give a framework for an efficient management of agricultural water and for the necessary investments in the agricultural water sector. IOWater can intervene either at the level of a country - institutional and legislative reforms, national strategy - or at the local level, at the level of a basin, a small region, an irrigated area. IOWater internationally promotes participatory water management and supports the authorities of requesting countries to adapt management procedures and tools developed in very specific constraint systems. It helps them to define participatory mechanisms and procedures for planning, monitoring, arbitration and decision-making on the management of water resources and their allocation between uses and in large irrigated areas. IOWater experience and practice, as well as its neutrality vis-à-vis all stakeholders, also allow it to evaluate national policies for saving irrigation water. IOWater devotes an important part to the use of decision-making tools in the planning processes and to the participation of users in the various decision-making or dialogue bodies.